The cast of director Jay Roach’s Fair and Balanced has grown by two, per a report from Deadline. 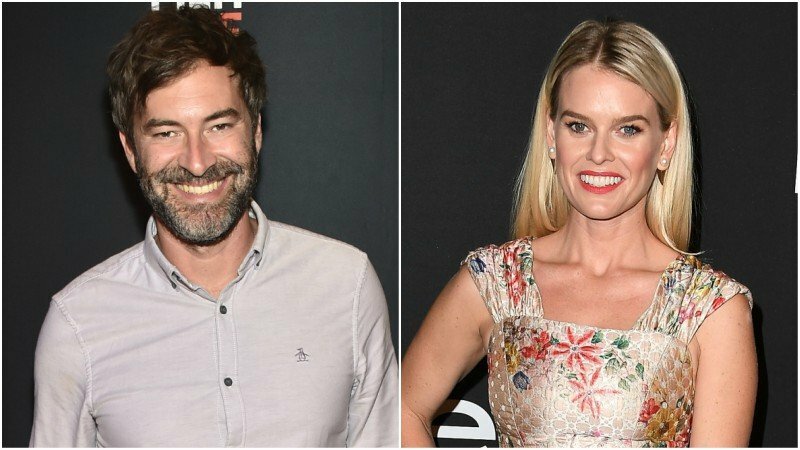 The Roger Ailes biopic has cast Alice Eve (Iron Fist) as Fox anchor Ainsley Earhardt, and Mark Duplass (Big Mouth) who has signed on as Megyn Kelly’s husband, who’s played by Charlize Theron. The film is described mostly as an ensemble piece, with the majority of the focus being on former Fox News chief Roger Ailes (John Lithgow, The Crown) and his ultimate downfall that came about after a number of women, including Gretchen Carlson (Nicole Kidman) and Megyn Kelly (Theron), sued him for harassment. Other characters that will be included in the film are former anchor Greta Van Susteren and former host Bill O’Reilly. Malcolm McDowell (Star Wars: Rebels), Margot Robbie (Suicide Squad), Allison Janney (I, Tonya) and Kate McKinnon (Ghostbusters) also star. Robbie will play a fictional Fox News associate producer, while Janney will portray Susan Estrich, Ailes’ attorney who represented him after multiple workers at Fox News accused him of workplace sexual harassment. Ailes was fired from Fox News within weeks of Carlson’s suit after several more women came forward with similar allegations of sexual misconduct. Murdoch, who put Ailes in charge of the network in 1996, was one of the news chief’s strongest supporters, though he ultimately made the decision to fire Ailes. Annapurna is financing and producing the feature, with Lionsgate reportedly close to finalizing distribution. Roach (Game Change) will direct the film, based on the screenplay by Charles Randolph. In addition to starring, Theron will produce the feature along with Beth Kong and AJ Dix via Denver & Delilah. Roach, Randolph, and Margaret Riley are also producing.